Antique Radio Forums • View topic - Replace Mylar Capacitors? Post subject: Replace Mylar Capacitors? I've started working on restoring the amplifier in the jukebox I'm restoring. This is going to be a huge task all it's own. I've spent most of the last 3 days identifying and documenting all of the resistors and capacitors, so at least now I know where everything is. I have a similar image for the resistors but have not updated it in GIMP yet. There are 68 capacitors and 109 resistors. I know ceramic caps rarely go bad so unless I happen to find one that's bad I'll leave them alone. Of course I'll replace all of the electrolytics and papers. Although, in the auto-speed unit I just finished, most of the paper caps tested ok. They aren't actually paper casings...all are some sort of plastic. Some are light red with yellow printing and some are brown and epoxied at the ends. But I think it would be a good idea to replace them anyway. The ones I wonder about are the mylar caps. Some are brown with radial leads and some are yellow with axial leads. 1) Should I replace these even if they test ok? 2) If I replace them, what type should I use? I wonder if there is a performance reason that they called out mylar. But it's possible that it was just because they are somewhat smaller than their paper counterparts. Post subject: Re: Replace Mylar Capacitors? The brown metal film epoxy dipped caps rarely fail. I'd leave them. The yellow ones are probably fine as they are relatively modern. Powered by infinite improbability drive. When you say "test ok" are you testing them for leakage? Hi Steve - No, I don't have a way to test caps for leakage so I'd just be testing the value on a cap checker. Checking them for value proves nothing and is a waste of time. The failure mode of old caps is leakage, not a change in value. The only way to test for it is with an appropriate capacitor tester which applies full rated voltage and reads leakage (preferably on a meter, like one of the Sprague TO-x units). But I agree those types of mylar caps are pretty reliable. Not to say they never fail, we were replacing some of the brown ones in TV sets when they were only a few years old, but it's very uncommon. The yellow ones are usually much better than any others of that age. I would be inclined to leave all of the mylar caps alone provided the unit functions properly and all voltage readings in the circuit are within specs for the unit. Mylar was slowly replacing paper at that time, and it's likely they changed over according to what was in their stock of certain values in paper being depleted, so they ordered mylar as a product improvement. For a few years, it was common to find stuff built with a mix of paper and mylar caps depending on what they had in stock. Note that the red paper caps with yellow writing are pure junk, and had high failures rates back in those days. I would automatically replace every cap in the unit which is identified as being paper, and not waste time testing them since you stated that you don't have the proper equipment to check for leakage. Whatever you do, save all the old paper caps and sell them on eBay, you will recover more than you would ever expect, probably several times more than their new replacements cost. People will buy them even untested and used because they think those old caps have some magical qualities that they can hear in audio amplifiers. There are some things about it that I would like to see different, including a voltmeter capable of reading the highest possible DC voltage the supply can output, and several selectable ranges for microamps on the current meter. You need to be easily able to read down to 1 microamp or so and that's not possible the way it's shown. The reject point for leakage on paper coupling caps is pretty close to zero, if you test a number of brand new film type caps of the same voltage and value as the old parts in question, you will quickly see the new ones have almost no leakage. Also, unless you always very slowly bring up the voltage with a variac as the author points out, you run the risk of damaging the meter movement on the microammeter, or bending the pointer by slamming it against the stop. A discharged capacitor is almost like a dead short, with current leading voltage until it takes a charge, so there can be a very substantial surge for as much as several seconds depending upon the value of the capacitor and the voltage applied. That needs to be addressed. You need to end up being able to read the current down to 1 microamp, at the full marked voltage rating on the capacitor, but that has to be done in steps to avoid damaging the test equipment. If you can train yourself how to properly accomplish that with the device you linked to, then it's probably OK for your needs if you can modify the current range to read lower values. Note that it is EXTREMELY dangerous as built, as are most commercially built cap testers, because there is enough DC voltage across the test leads to seriously shock if not kill the operator should that person do something stupid while using it. Also as shown in the photos on that website caps can and do explode, particularly electrolytics, sometimes violently, and the results can cause serious injury. 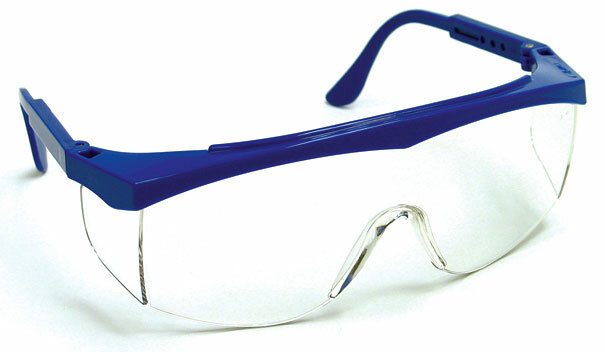 After a few near misses over the years, I now religiously wear a pair of safety glasses when... on the bench. The brown Fast tubular caps are also junk; Seeburg used both those and the red Tiny Chief type in the 1950s and early 1960s. Replace all of them! When in doubt the only worthwhile initial test for HV paper & other caps is High voltage to see if they leak. 99.99% of Waxpaper & some oil filled types will; Experience will teach you that testing Wax paper types is time wasting & that time was better spent getting rid of them. My most common use tester for NP caps is an insulation tester with 100V; 250V; 500V; 1000V DC. That pretty much covers tube radio types. My no compromise policy is, "these are capacitors:Not resistors", so if it leaks its a dud. (one end must be out of circuit). Modern caps rarely leak but I have seen encapsulated (Caramel) Polyester ones crack & short and there are horrid little, 1/4" x 1/2" approx axial ones, often found in transistor stuff of the sixties, that I also toss on sight as they crack, short, & burn.